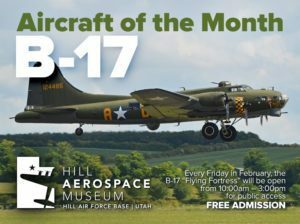 Hill Aerospace Museum is excited to launch our Aircraft of the Month program! Each month the Hill Aerospace Museum will open one aircraft for a close up and in depth experience! 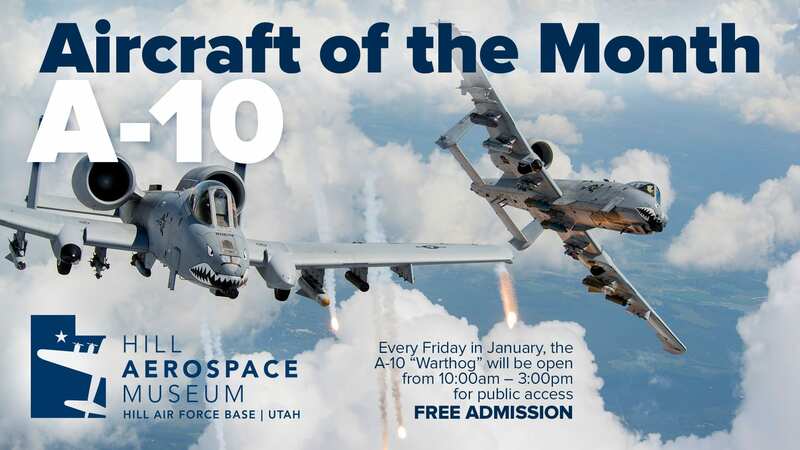 On Friday January 25, 2019 we will have the A-10 “Warthog” open from 10:00am to 3:00pm for everyone to access. 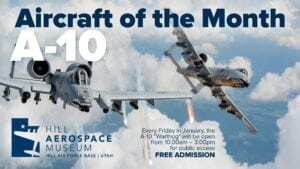 Volunteers will be at the aircraft to answer any questions you may have about the A-10, and the specific airframe we have at the Hill Aerospace Museum. Starting February 1, 2019 we will open the B-17 “Flying Fortress”. This historic WWII bomber is well known for being reliable and critical during World War II. To read about other upcoming events at the Hill Aerospace Museum, check out our events page! You won’t want to miss this. Keep and eye on our Facebook and Instagram to see which aircraft will be next.